Stonington - 2 Covered Parking Places, No Rent Restrictions. Fha Approved! MLS#6517809. Village Realty. Walk To Dinner Or Services. A Fantastic Lifestyle! MLS#6517495. Ashton Woods Realty, Llc. Wonderful Bonus Room On Upper Level With Rooftop Terrace. MLS#6517471. Ashton Woods Realty, Llc. Close In Location To Shopping, Marta And Recreation! MLS#6517551. Ashton Woods Realty, Llc. Don'T Miss The Bonus Room That Would Be Perfect For Extra Storage Or Your Own Huge Master Closet! MLS#6517156. Keller Williams Realty Intown Atl. Accolades - Gated Community With Pool, Tennis Courts And Clubhouse. 2 Master Suites Upstairs. MLS#6516634. Spalding Brokers, Llc..
Elizabeth Heights - Centrally Located In Sandy Springs, Right Off Roswell Rd, Easy Access To Ga 400 And I-285. MLS#6515360. Maximum One Executive Realtors. Seller Requests That Buyer Use Seller’S Closing Attorney. MLS#6516236. Georgias Finest Real Estate Inc..
Swim/Tennis/Basic Cable/Trash/Water/Phone Included. Ground Floor Unit. MLS#6515846. Re/Max Center. This Mixed Use Neighborhood Delivers The Lifestyle! MLS#6513796. Ashton Woods Realty, Llc. Serrano - This Home Has So Much To Offer!! Building Is Not Fha Approved. MLS#6513721. Village Realty. This Split Bedroom Plan Is Great For Privacy. Large Closets And Washer and Dryer Included. MLS#6513558. Keller Williams Realty Metro Atl. Bring Your Buyers This Property Will Go Quick At This Price! MLS#6513299. Drake Realty, Inc. Within Walking Distance To Riverwood High & Close By Holy Innocent Episcopal School. MLS#8534633. Keller Williams Realty Consult. 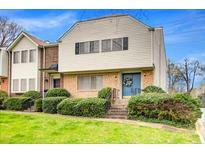 Convenient To Scenic Chattahoochee River And Ga-400. Top Schools. MLS#6511960. Keller Williams Buckhead. Woodcliff - Beautifully Landscaped Community W/ A Heated Pool & 2 Tennis Courts.Move In Ready! MLS#6510843. Harry Norman Realtors. Located In The Middle Of Top Atlanta Hospitals, Shopping And Dining, And Easy Access To 285 And 400! MLS#6503620. Exp Realty, Llc..
Accolades - Conveniently Located To Major Hways, Shopping & Schools. MLS#6509729. Chapman Hall Realty. 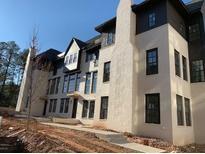 Highlands At Sandy Springs - Fantastic Location Off Of Roswell Road And Easy Access To 400! MLS#6509257. Century 21 Connect Realty. Stonington - Minutes From Ga-400, I-285, And Marta, Top Schools, Parks, Dog Parks, Shopping,Restaurants.Fha Approved,Rentable. MLS#6509231. Potts Realty Inc..
Foxcroft - The Hidden Gem Of Sandy Springs. Not Fha Approved. MLS#6509565. Coldwell Banker Residential Brokerage. City Walk Heights - Hoa Includes Water And All Exterior Maintenance. MLS#6508655. Coldwell Banker Residential Brokerage. River Oaks - Great Location Off Of Dupree Drive Close To The Best Public/Pvt Schools, The Battery, Chattahoochee National Park & More! MLS#6507349. Beacham And Company Realtors. Spalding Woods - The Terrace Level Allows For Relaxation And Much More. Move In Perfect! MLS#8530049. Keller Williams Rlty First Atl.